The Fruit Bowl is a result of a rare occasion; Wegner using the wood turning technique to create a stand-alone object. In this instance he did not allow himself to be concerned about practical issues, but made a truly extravagant design showing with great elegance what such an expressive carving of solid wood can offer. Still the Fruit Bowl seems obvious in all its beauty and as usual with Wegner, all shapes, angles and proportions somehow could not have been made differently. 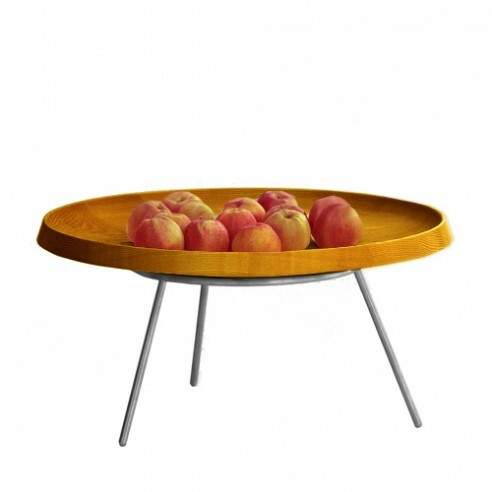 The Fruit Bowl is unique in Wegner’s work and has no predecessor or alternative versions. It is a one off piece of art that states the high point of the golden era of Danish Modern in the 1950’s. pp586 can be used both as a classic fruit bowl or perhaps a more modern magazine holder – the only limit is your imagination. The legs can easily be removed for a different use of the bowl.